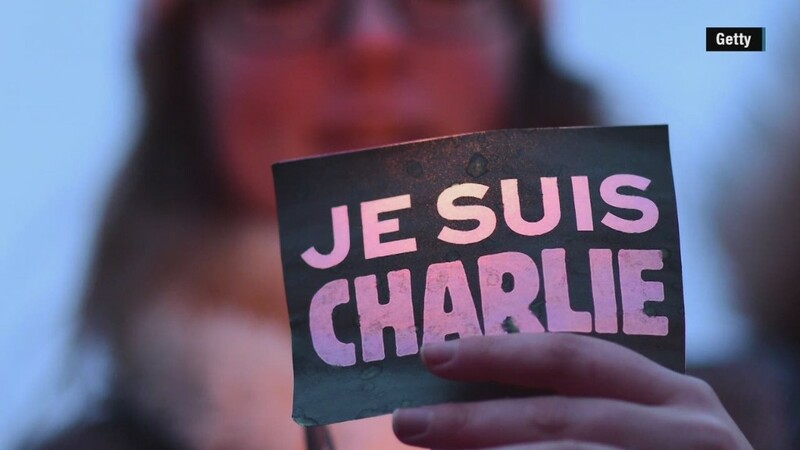 Copies of the new edition of Charlie Hebdo were offered for more than $700 on eBay on Wednesday with sellers hoping to cash in on enormous demand in the wake of last week's attack. At least 20 advertisers were selling copies of the publication for between $60 and $759 on eBay (EBAY). Its official price is three euros ($3.50). Some sellers were speculating that demand would push prices much higher, with one copy listed at about $17,700. Some issues of the satirical French magazine -- which features an image of the Prophet Mohammed holding a sign with the rallying cry "Je Suis Charlie" on the cover -- had sold for $600, and others were attracting bids. The magazine hit newsstands on Wednesday, one week after terrorists stormed its offices and killed 12 people, including its leading cartoonists. Several market kiosks and newsstands sold out of copies in the early morning hours; buyers lined up at others to try get a copy. Many vendors were limiting sales to one per person. The magazine was planning a print run of three million copies, fifty times the weekly's typical circulation of 60,000. 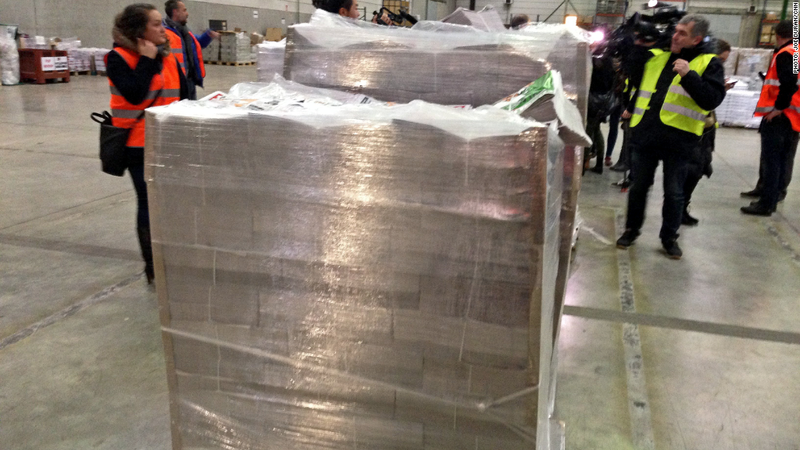 Distributors said Wednesday that was being increased to five million over the next week. Picking up a copy on eBay appeared the quickest route for American buyers unable to source the magazine. Other options include subscription to Charlie Hedbo via Amazon (AMZN), with delivery times ranging from four to six weeks. 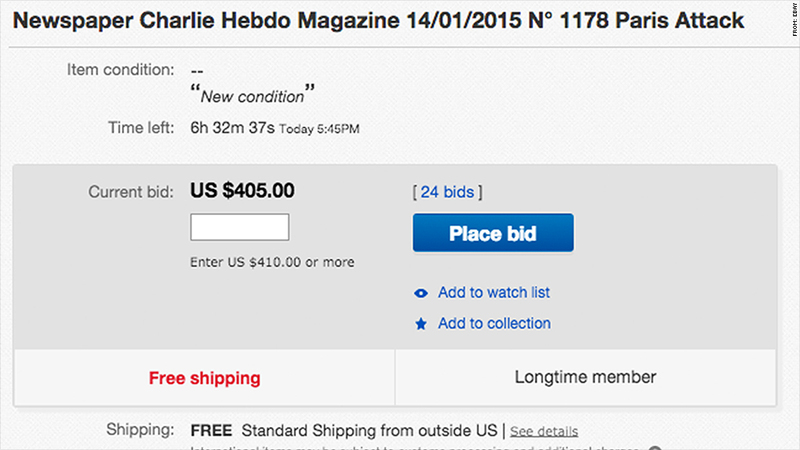 It's not the first time copies of Charlie Hedbo have turned up online. Last week, copies of the magazine surfaced on eBay less than 24 hours after gunmen opened fire at the magazine's offices.